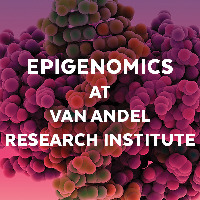 Taught by internationally recognized epigenomics experts, Epigenomics at VARI will give gifted graduate students an intense overview of the latest innovative methodology and its applications across several fields including cancer and neurodegenerative disease research. Students will be active participants in all aspects of the course and will engage in scientific discourse with the faculty as well as present their own scientific project with a poster, engage in the Journal Club sessions, and participate in a career development workshop and social events. 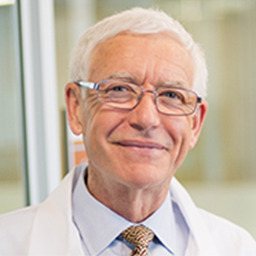 Bio: Dr. Bart Williams is an internationally recognized expert in bone biology, specifically in the area of Wnt signaling in health and disease states. His laboratory at Van Andel Research Institute studies the role of the Wnt pathway in normal bone development and in cancers that commonly spread to the bone (such as prostate, breast and lung cancers). He also is an expert in the development of preclinical models of skeletal disease and cancer. Dr. Williams received his Ph.D. in biology from Massachusetts Institute of Technology in 1996 where he trained with Tyler Jacks. For three years, he was a postdoctoral fellow at the National Institutes of Health (NIH) in the laboratory of Harold Varmus, former director of NIH. Dr. Williams joined Van Andel Research Institute as a scientific investigator in July 1999. He is now a professor and the director of the Institute’s Center for Cancer and Cell Biology. He has served on more than two dozen NIH study sections and also serves on numerous additional grant and conference review committees. He is currently an editorial board member for several journals, including the Journal of Biological Chemistry, Journal of Clinical Investigation, Bone Research, and PLoS One. 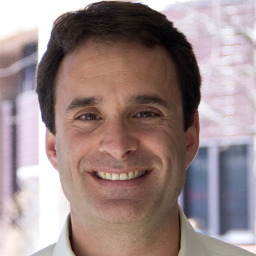 Bio: Dr. Berman earned a Bachelor’s in Computer Science and a Ph.D. in Molecular & Cell Biology, both from UC Berkeley. 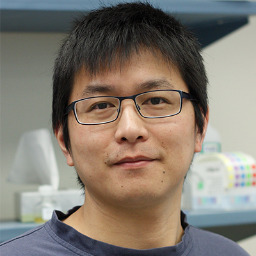 There, he participated in the sequencing of the complete Drosophila genome, and was the first to show that transcriptional enhancers could be identified at genome-wide significance using a purely computational approach. He did a postdoctoral fellowship in molecular epidemiology at the University of Southern California, where he developed computational tools to understand the function of enhancer polymorphisms identified in large genome-wide association studies. He went on to become the Bioinformatics Director for the USC Epigenome Center’s Next-generation sequencing core, where he worked alongside leaders in epigenomics to generate data for projects such as ENCODE (with Peggy Farnham) and TCGA (with Peter Laird). He worked with Dr. Laird to sequence the first deep DNA methylation map of cancer using whole-genome bisulfite-sequencing, and was one of the first to show that cancer-specific enhancers could be identified by methylation alone. In 2014, Dr. Berman moved to Cedars-Sinai Medical Center in Los Angeles to become co-director of the Center for Bioinformatics and Functional Genomics. 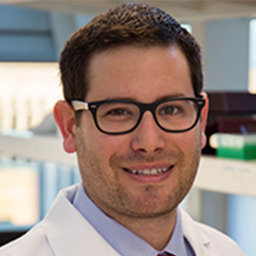 Bio: Bradley E. Bernstein is a professor in pathology at Massachusetts General Hospital and Harvard Medical School and an American Cancer Society Research Professor. He is also an Institute Member at the Broad Institute, where he co-directs the Epigenomics Program. Bernstein’s research focuses on epigenetics ­­— changes in gene activity governed by influences outside the genes themselves — and specifically how modifications to the protein scaffold called chromatin contribute to mammalian development and human cancer. His laboratory develops and applies genomic technologies to study chromatin structure and epigenetic regulation in mammalian cells. 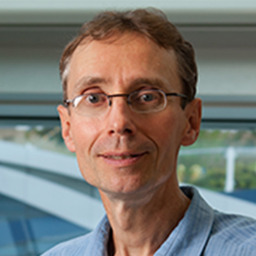 His work is notable for the discovery of epigenetic mechanisms in pluripotent stem cells, the systematic identification of enhancer ‘switches’ in the human genome that coincide with DNA sequence variants associated with common diseases, and the characterization of epigenetic aberrations that underlie certain forms of cancer. Bernstein oversees a production center for the NHGRI-sponsored ENCODE project, which seeks to catalog all of the working parts of the genome, and to understand how their functional interactions give rise to the diverse cell and tissue types in a human. His group also investigates epigenetic landscapes of human tumors, including glioblastoma, leukemia and Ewing sarcoma, and has identified epigenetic mechanisms that underlie malignant transformation, tumor propagation and therapeutic resistance. Bernstein received his B.S. from Yale University in physics, and his M.D. and Ph.D. from the University of Washington School of Medicine. He completed a residency in clinical pathology at Brigham and Women’s Hospital, and carried out postdoctoral research at Harvard University with Stuart Schreiber. 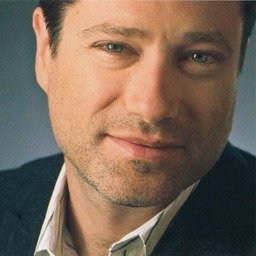 He joined the faculty of Massachusetts General Hospital and Harvard Medical School in 2005. 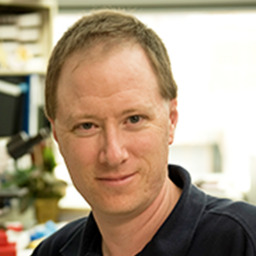 Bernstein’s honors and awards include the Paul Marks Prize for Cancer Research, an Early Career Scientist award from the Howard Hughes Medical Institute, a Career Award in the Biomedical Sciences from the Burroughs Wellcome Fund, a junior faculty award from the Culpeper Foundation, and election into the American Society for Clinical Investigation. Bio: Dr. Gerd Pfeifer earned his M.S. in pharmacology in 1981 and his Ph.D. in biochemistry in 1984 from Goethe University in Frankfurt, Germany. Following a postdoctoral fellowship at the University of Frankfurt Medical School, he joined Beckman Research Institute at City of Hope in Duarte, Calif. in 1988. In 1993, he became full member of City of Hope Comprehensive Cancer Center and, in 1999, he was promoted to Professor of Biology at Beckman Research Institute. He also served as Program Leader for the City of Hope’s Programs in DNA Damage and Repair, and Cancer Biology; as chair of the Department of Biology (2001-2008); and as chair of the Department of Cancer Biology (2008-2012). Most recently, he served as the Lester M. and Irene C. Finkelstein Chair in Biology, and as Scientist Leader for the Lung, Head and Neck Disease Team at City of Hope. He joined VARI in 2014 as a professor. Bio: Dr. Shen received her B.Sc. in biology from Nanjing University and her Ph.D. in genetic, molecular, and cellular biology from the University of Southern California (USC). She was appointed as a research associate at the USC’s Epigenome Center in 2013. Dr. Shen is part of The Cancer Genome Atlas team, a multi-institutional effort to better understand the molecular basis of cancer through genomic analysis. She joined VARI in September 2014 as an assistant professor. Bio: Dr. Turner obtained her Ph.D. in cell and molecular biology from the University of Pennsylvania, as a classical virologist applying molecular tools to characterize the coreceptor for cellular entry of human immunodeficiency virus (HIV). Her postdoctoral research at the Centers for Disease Control and Prevention in Atlanta explored the synergy of HIV with the bacterium that causes tuberculosis. 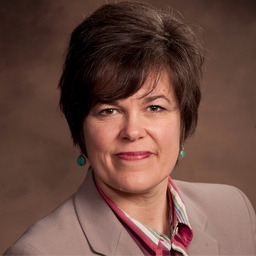 Dr. Turner came to Grand Rapids in 2009 from University of Virginia where she directed Medical Microbiology for second-year medical students since 2001. 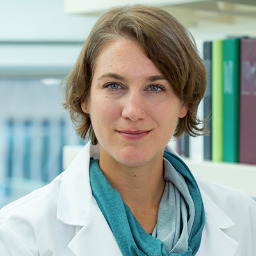 Initially investigating mycobacterial interactions with human cells at the University of Virginia, she continues to work on myeloid cell biology in tumorigenesis at Van Andel Research Institute in the Alberts Laboratory. In her role as associate dean, Dr. Turner coordinates curriculum and faculty development as well as student affairs. Bio: Dr. Melcher earned his MSc in biology and his Ph.D. in biochemistry from the Eberhard Karls Universität in Tübingen, Germany, after which he was a postdoctoral fellow at the University of Texas Southwestern Medical Center in Dallas. He has been an independent investigator at the University of Ulster in Coleraine, U.K., and at Goethe University in Frankfurt, Germany. Dr. Melcher was recruited to VARI in 2007, serving as a Research Scientist within the Laboratory of Structural Sciences. In 2011, he became an assistant professor and, in 2013, he was promoted to associate professor. Bio: Dr. Farnham is the William M. Keck Professor of Biochemistry and the Chair of the Department of Biochemistry and Molecular Biology at the Keck School of Medicine at the University of Southern California in Los Angeles, California. Dr. Farnham received her bachelor’s degree from Rice University, her Ph.D. from Yale University, and performed her post-doctoral training at Stanford University. Dr. Farnham previously held Professorships at the McArdle Laboratory for Cancer Research at the University of Wisconsin-Madison and at the University of California-Davis where she was the Associate Director of the UC Davis Genome Center. Dr. Farnham is an international leader in the study of chromatin regulation and its control of transcription factor binding and function. She is a member of an international consortia of genomic scientists working on the ENCODE (Encyclopedia of DNA elements) Project, a member of an NIH Roadmap Reference Epigenome Mapping Center, and a member of PyschENCODE. Based on her contributions to biomedical research, she was elected as a fellow of AAAS in 2010 and in 2012 she received the ASBMB Herbert A Sober Award, which recognizes outstanding biochemical and molecular biological research with particular emphasis on the development of methods and techniques to aid in research. Current projects in her lab are focused on characterization of the genome-wide effects of epigenetic chemotherapeutic inhibitors and molecular characterization of cancer-associated enhancers using genomic nucleases and artificial transcription factors. Bio: Dr. Jones was born in Cape Town, raised and attended college in Rhodesia (now Zimbabwe), and received his Ph.D. from the University of London. He joined the University of Southern California in 1977 and served as Director of the USC Norris Comprehensive Cancer Center between 1993 and 2011. He is currently the Chief Scientific Officer of Van Andel Research Institute (VARI) in Grand Rapids, Michigan. His laboratory discovered the effects of 5-azacytidine on cytosine methylation and he first established the link between DNA methylation, gene expression and differentiation. He pioneered the field of epigenetics, particularly its role in cancer, and helped develop novel therapies for cancer. Dr. Jones is a past president of the American Association for Cancer Research, a Fellow of the Academy of the AACR, a Fellow of the American Association for the Advancement of Science and was recently elected to the National Academy of Sciences. He has published more than 300 scientific papers and received several honors, including the Outstanding Investigator Grant from the National Cancer Institute. He and his colleague Dr. Stephen Baylin shared the Kirk A. Landon Award for Basic Cancer Research from the AACR in 2009 and the Medal of Honor from the American Cancer Society in 2011. Bio: Dr. Laird earned his B.S. and M.S. from the University of Leiden and earned his Ph.D. in 1988 from the University of Amsterdam with Dr. Piet Borst. He completed postdoctoral training in the laboratory of Dr. Anton Berns at the Netherlands Cancer Institute and with Dr. Rudolf Jaenisch at the Whitehead Institute for Biomedical Research. 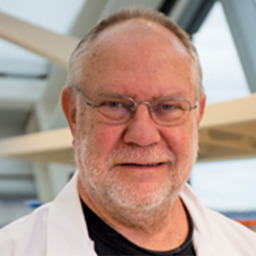 Dr. Laird was a faculty member at the University of Southern California (USC) from 1996 to 2014, where he served as professor of surgery, biochemistry and molecular biology; as Skirball-Kenis Professor of Cancer Research; as a program leader in epigenetics and regulation for the Norris Comprehensive Cancer Center; and as director of the USC Epigenome Center. Dr. Laird joined VARI as a professor in September 2014. Bio: In non-pregnant female mammals of reproductive age, ovulation (the releasing of eggs from the ovaries) and menstruation (the shedding of the uterine lining) occurs each month. This repeated cellular turnover causes stress and inflammation, which puts females at risk for developing certain reproductive-tract cancers. The goal of our research is to discover which genes and signaling pathways play a critical role in determining cellular homeostasis in the female reproductive system (particularly in ovarian cancer and associated benign disease) and how cells within the female reproductive tract cope with the iterative tissue repair processes and inflammation necessary for maintaining reproductive competence. We aim to provide a mechanistic understanding of how epigenetic or chromatin-regulated processes maintain cellular homeostasis and prevent tumorigenesis in the female reproductive tract in response to environmental or intracellular stress and the ensuing activation of cellular signaling. Dr. Chandler received his B.S. in Biology at Tennessee Technological University, and his Ph.D. in Molecular Physiology and Biophysics from Vanderbilt University. He was awarded a prestigious postdoctoral fellowship from the American Cancer Society to pursue postdoctoral research in the Laboratory of Dr. Terry Magnuson and Department of Genetics at the University of North Carolina at Chapel Hill. He was also awarded an Ann Schreiber Mentored Investigator Award from the Ovarian Cancer Research Fund to support his new research endeavors in the area of chromatin structure, epigenetics and gynecologic cancer. Dr. Chandler is an Assistant Professor in Department of Obstetrics, Gynecology and Reproductive Biology at Michigan State University. His lab is currently located in Van Andel Institute. Bio: Dr. Rothbart earned his B.S. in food science and human nutrition from the University of Florida in 2005. 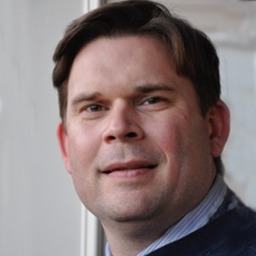 He performed his dissertation work with Dr. Rick Moran, earning a Ph.D. in pharmacology and toxicology from Virginia Commonwealth University in 2010. He was a postdoctoral fellow with Dr. Brian Strahl in the Department of Biochemistry and Biophysics at the University of North Carolina at Chapel Hill. Dr. Rothbart joined VARI in April 2015 as an assistant professor. Bio: Dr. Stephen Baylin earned his M.D. from Duke University in Durham, N.C. in 1968 and completed his internship and first year of residency at the university. He then served as a staff associate at the National Institutes of Health’s National Heart and Lung Institute for two years before returning to Johns Hopkins to complete his residency and fellowship. He was appointed as an assistant professor of medicine at Johns Hopkins in 1974 and rose through the ranks, becoming a professor of oncology in 1986 and a professor of medicine in 1990. In 1991, he was appointed chief of the Tumor Biology Division and, the following year, was named as the associate director for research at the Johns Hopkins Oncology Center. He is currently Virginia and D.K. 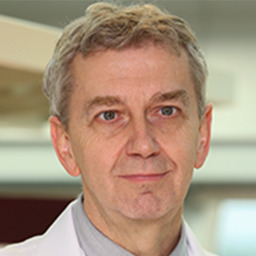 Ludwig Professor for Cancer Research in the Oncology Department and co-head of Cancer Biology at the Sidney Kimmel Comprehensive Cancer Center at Johns Hopkins. 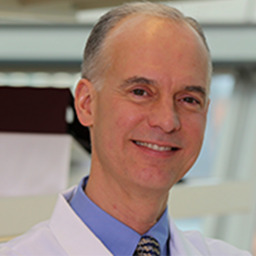 Dr. Baylin has earned numerous prestigious honors, including the 2004 Investigator of the Year Award from NCI SPORE; the 2005 Shubitz Cancer Research Prize from the University of Chicago; and the 2009 Kirk A. Landon-AACR Prize for Basic and Translational Cancer Research, together with VARI Research Director Dr. Peter Jones. In 2011, Drs. Baylin and Jones were jointly awarded the American Cancer Society’s Medal of Honor. He has authored or co-authored more than 350 publications and served as associate editor of Cancer Research. Dr. Baylin also served on the board of the American Association for Cancer Research Board of Directors from 2004 to 2007, and was the leader of the first SU2C Epigenetics Dream Team, launched in 2009. 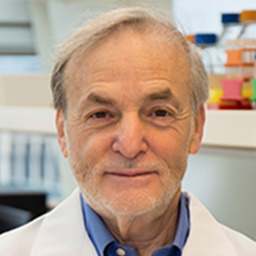 In 2015, he accepted an appointment at VARI as co-leader of the VARI-SU2C Epigenetics Dream Team, which he leads with Dr. Jones, and as a professor in the Center for Epigenetics. In addition to his work at VARI, Dr. Baylin will continue his work at Johns Hopkins. Bio: Dr. Viviane Labrie earned her B.Sc. (honors) in human biology and her Ph.D. in genetics and neuroscience from University of Toronto under the direction of Dr. John Roder. She then completed a postdoctoral fellowship in the laboratory of Dr. Arturas Petronis at the Krembil Family Epigenetics Laboratory at the Centre for Addiction and Mental Health (CAMH) in Toronto. In 2013, Dr. Labrie became a project scientist at CAMH and, in 2015, she accepted a position as an assistant professor in the Department of Psychiatry at the University of Toronto. Dr. Labrie was among the first to characterize the role of a novel neurotransmitter D-serine in the brain and its role in schizophrenia. She also created a new method for mapping epigenetic marks and has contributed to the field’s understanding of a particular epigenetic mark called 5-hydroxymethylcytosine and its impact on brain function. Recently, Dr. Labrie has been investigating the contribution of the epigenome to aging phenotypes. Dr. Labrie joined Van Andel Research Institute’s Center for Neurodegenerative Science as an assistant professor in March 2016. Bio: Dr. Wei Lü received his Diploma degree in biology from the University of Göttingen, Germany. He then pursued his graduate research at the University of Freiburg, in Professor Einsle’s laboratory, where he studied the structures and mechanism of bacterial channel proteins using X-ray crystallography. He joined the Gouaux lab as a postdoctoral fellow in 2012. His current research aims to understand the molecular mechanism of neurotransmitter receptors using cryo-electron microscopy and electrophysiology. 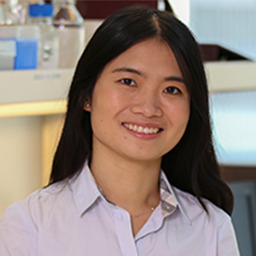 Wei will join Van Andel Research Institute as an assistant professor in 2016. Bio: Dr. Coetzee has more than 35 years of experience in molecular biology and human genetics. He earned a B.Sc. in chemistry/physiology and a B.Sc. (hon) in biochemistry from South Africa’s University of Potchefstroom, followed by an M.Sc. and Ph.D. in medical biochemistry from the University of Stellenbosch. He completed a postdoctoral fellowship at Hadassah University Hospital in Israel, and then served as a lecturer at University of Cape Town in South Africa, where he later became an associate professor. In 1986, he moved to University of Southern California as a visiting scientist and, in 2008, was named a professor of urology, molecular microbiology and immunology, and preventive medicine at USC’s Norris Comprehensive Cancer Center in 2008. He also served as assistant dean of research integrity from 2014 to 2015. Dr. Coetzee joined Van Andel Research Institute in November 2015 as a professor in the Center for Neurodegenerative Science.